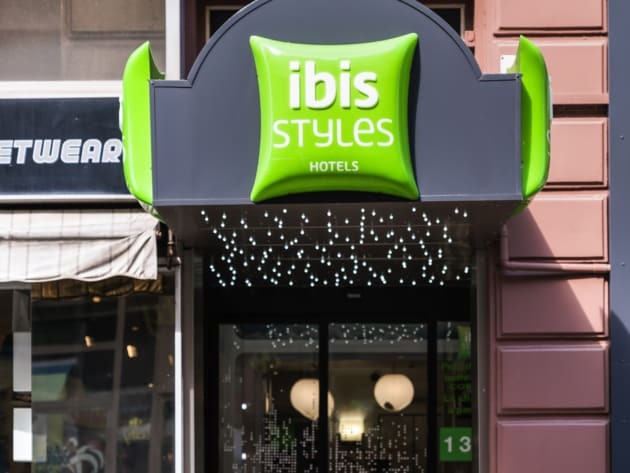 Breakfast + unlimited WIFI included in all rates at the ibis Styles Strasbourg Centre Gare hotel. 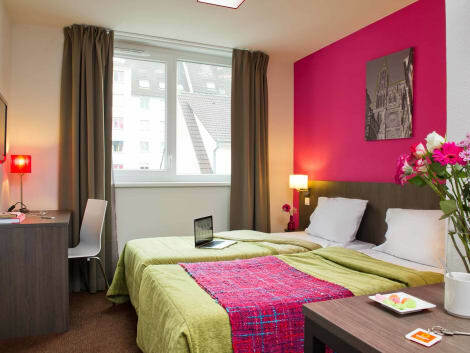 Located right next to the TGV station, in Strasbourg city center and less than 5 minutes from the Petite France historic district. You can reach the European Institutions or the convention center by tram in 10 minutes. The hotel boasts a location that is great for tourists and business travelers. Discover a stylish and colorful ambiance! 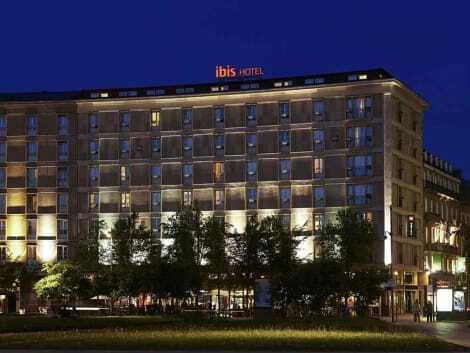 The ibis Strasbourg Centre Gare hotel is opposite the TGV station, a stone's throw from the city center and Petite France district, and just a 10-min walk from the cathedral. The hotel has 117 rooms including 4 for people with reduced mobility. 3 tram lines near the hotel will take you to the European Parliament, the European Business Area in Schiltigheim and the Zénith stadium. Access to the A4 and A35 highway is 2 mins away, allowing you to discover Alsace's charms: wine route, Haut Koenigsbourg etc. Make yourself at home in one of the 92 air-conditioned rooms featuring flat-screen televisions. Complimentary wireless Internet access keeps you connected, and satellite programming is available for your entertainment. Private bathrooms with bathtubs or showers feature complimentary toiletries and hair dryers. Conveniences include safes and complimentary newspapers, and housekeeping is provided daily. 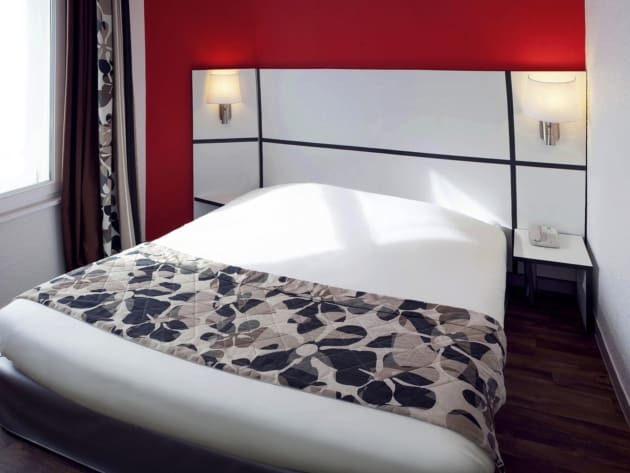 The Mercure Strasbourg Centre Petite France hotel is located right next to the TGV station in Strasbourg city center and 5 minutes from the Petite France historic district. You can reach the European Institutions or the convention center by tram in 10 minutes. The hotel offers rooms with modern decor and 3 themed rooms. 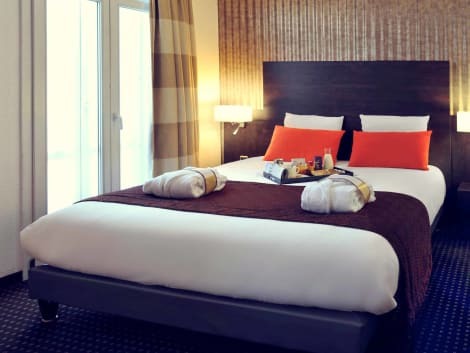 This Mercure hotel is great for both family getaways and business trips. 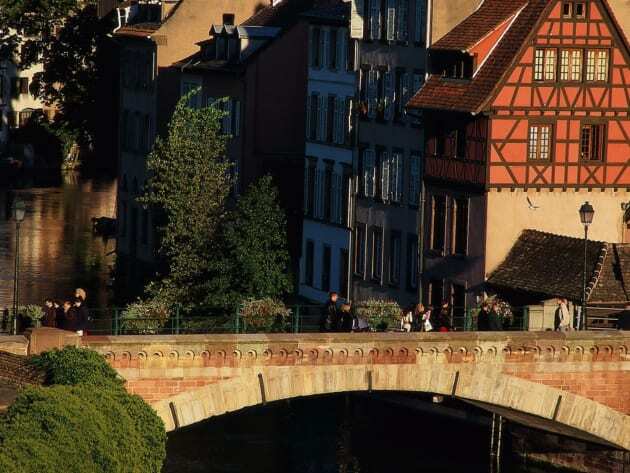 The Adagio Access Strasbourg Petite France is just 2 minutes' walk from Strasbourg's old town. This 3-star holiday residence offers studios and 2-room apartments for 4 people, all of which are furnished and equipped with a kitchen. Explore the famous Petite France district with its unusual roads and covered bridges. 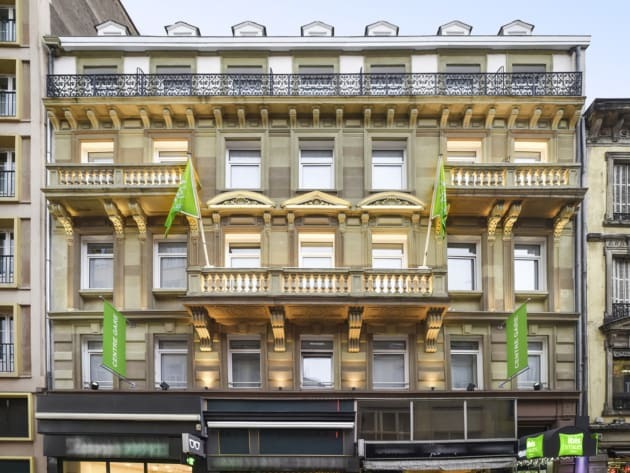 The Aparthotel is perfect for business travel or sightseeing trips. There is a tram stop 328 yards (300 m) away and the Strasbourg TGV train station is just 5 minutes away.